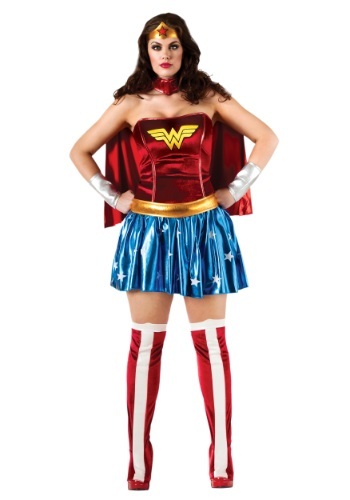 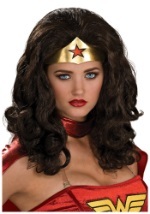 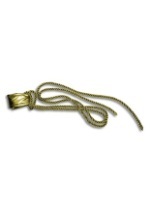 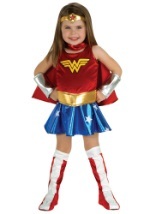 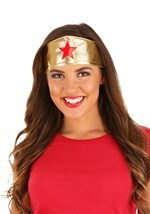 Lasso the evil-doers of the world as Wonder Woman in this costume. 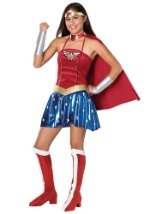 The outfit has a red velvet top with the Wonder Woman logo sewn in the center. 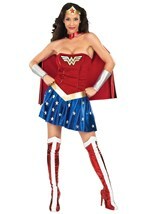 A glossy star scattered blue and white miniskirt is attached to the dress while a gold foam belt separates the two pieces of clothing. 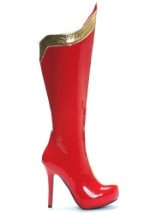 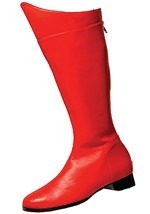 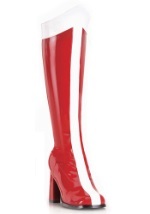 Red and white velvet striped boot tops and shimmering silver foam gauntlets create the final touch to a great superhero costume. 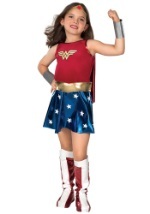 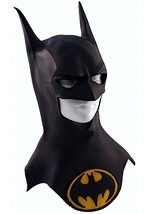 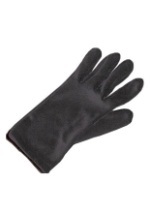 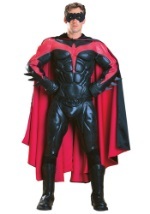 Fight crime in your invisible jet this Halloween.